Palmex International is a dynamic and innovative designer, developer and manufacturer of artificial palm leaves with a leading position on the thatch roofing market for more than a decade. The company has achieved this rank by forming strategic long-lasting partnerships with reliable cutting-edge companies and organizations, in order to offer its clientele world-class synthetic thatch products and services. Naturally, Palmex is deeply committed to green building, thus its first and foremost allegiance concerns companies involved in the promotion of sustainable development. For the production of our artificial palm leaves and thatch roof construction accessories, we have carefully selected top-notch partners for their high-grade industrial quality raw material. This allows us to ensure that the Palmex thatching material meets the highest international standards, as well as the most demanding customer’s expectations. For the installation of our clients’ thatched roofs, we cooperate with carefully selected craftsmen and provide them with a thorough training. Since 2003 the Canada Green Building Council has been promoting green building in Canada and the LEED rating system. 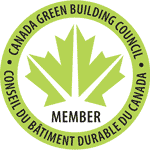 Palmex International is now a member of the Canada/US Green Building Council and it is our great privilege to provide credits to project developers who wish to achieve LEED certification. 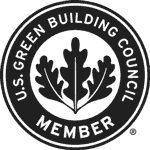 Founded in 1993, the US Green Building Council promotes sustainability in the construction and building management industry, their greatest achievement being the LEED ranking system. This certification testifies to the ecological value of the Palmex thatching material. Vertima assists building professionals through consulting mainly related to LEED certification, eco-friendly building projects and implementation of green construction specifications. Palmex International trusts Vertima for the LEED ranking of its thatching product line. 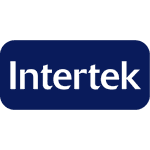 Intertek is a long-standing expert on product improvement, conformity and certification. We entrust Intertek for the fireproof testing of our artificial thatch product line. 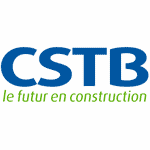 The Centre Scientifique et Technique du Bâtiment promotes sustainable construction through research, evaluation and dissemination of knowledge. We rely on the CSTB for the conformity of our artificial palm leaves with European standards. PRI Asphalt Technologies is a national and global leader in testing and evaluation protocols for Paving, Roofing and Industrial market sectors worldwide. The Palmex palm roof thatching product line is tested for its resistance to high winds by the engineers of Pri Asphalt Technologies Inc. This independent laboratory specializes in performance evaluation of building envelope components. The Palmex palm roof thatching product line is tested for its resistance to high winds by the engineers of Air-Ins Inc.
SGC conducts inspections, verifications, certification and testing of industrial quality and productivity. 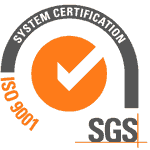 SGC provided Palmex with ISO 9001: 2008 certification for the compliance of its palm leaves with ISO standards. 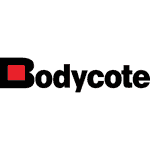 Bodycote Technitrol Inc. is an independent provider of industrial testing and certification services. The Palmex artificial palm leaves are verified for their resistance to ultraviolet rays by this institution. 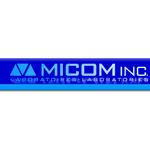 Micom Laboratories is a material testing lab that specializes in UV testing, ASTM testing, environmental testing and much more. The International Association of Amusement Parks and Attractions (IAAPA) is the largest international trade association for permanently situated amusement facilities worldwide. 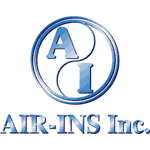 The organization represents more than 4,500 facility, supplier, and individual members from more than 97 countries. 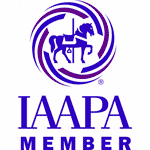 IAAPA helps our members improve their efficiency, marketing, safety, and profitability while maintaining the highest possible professional standards in the industry. About us: to read about the history of the Palmex International thatch roofing company, about your local distribution company and our team. Discover thatch: for a brief introduction to how roof thatching developed from man’s early days to our time and in our region of the world. Our product line: for a description of the Palmex thatching material and accessories, their technical characteristics and advantages. Our services: for a presentation of our expertise and experience in synthetic thatch, as well as those of your local Palmex synthetic thatch distributor. Our clients: for a presentation of which professionals and individuals choose artificial thatch roofing today and what motivates their choice. Our specials: for information about our current special offers, on how to save money on your synthetic thatch roof or on our services. Our showroom: for a short guided tour of some of Palmex’s most representative synthetic thatch roofing projects around the world. Our guestbook: to learn about our clients and some of the reasons why they have chosen palm roof thatching for their roofing projects. FAQ: for any questions about artificial thatch or a quick answer to common queries concerning our products and services. Our dealers: for information about our network of dealers of Palmex products for thatched roofs, to locate them or to contact them. Our partners: to learn about the companies Palmex has created partnerships with for the production of its artificial palm leaves. Tests and certification: for information concerning testing and certification related to our thatching material or of our thatch roof constructions. Our contact page: to contact Palmex International or your local distributor quickly and easily, online or by phone, to place an order or to request a quote.